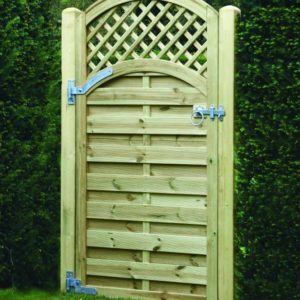 The Featheredge gates are our most popular garden gates, they are made to blend in with our featheredge fences as closely as possible. We also refer to them as Closeboard gates. All materials used are of the same high quality as our normal fencing products. Please note that due to circumstances beyond our control we had to change panel suppliers in early 2019. Our new style panels are similar to the earlier panels, the main difference being that they utilise 125mm boards. 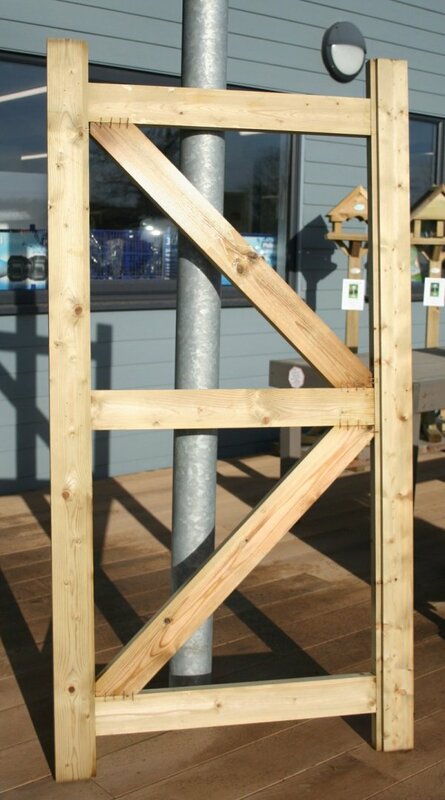 Our featheredge gates are framed, ledged and braced using pressure treated 47mm x 100mm structurally graded timber for the frame. The rails for the gate are 38mm x 100mm and the frame is rebated to accomodate the 2ex 22mm x 125mm feather edge slats. 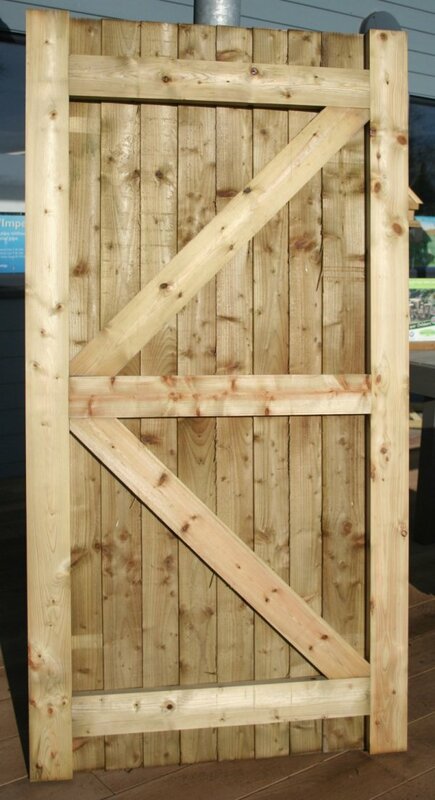 We have tried to match the gates to our timber materials supplied for the fences themselves. The gates are finished with flat bottomed capping that sits along the top of the framing. 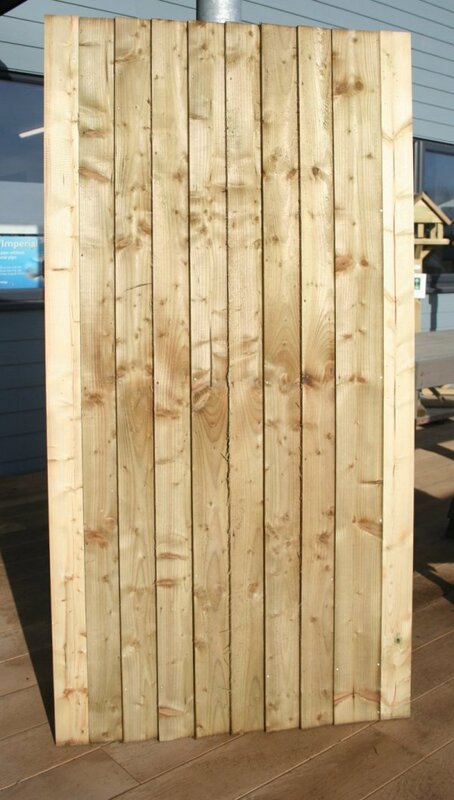 Featheredge gates are stocked as 1.75m high x 0.9m wide (approx. 6’ x 3’). 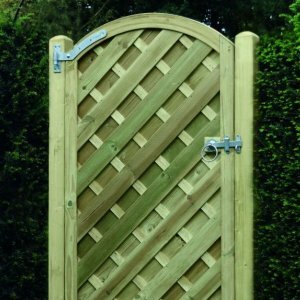 We have stopped keeping stocks of the 3′ and 4′ high gates, but they can be made to special order. Other bespoke sized gates can also be made to order, lead time is normally 5-7 working days. There is a small extra labour charge for making gates to size, plus a pro-rata charge for extra materials where required. 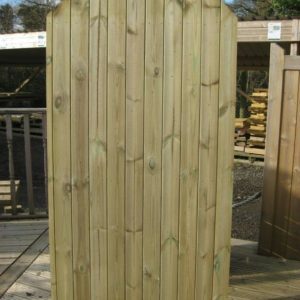 A variety of tanalised posts are stocked, we recommend 100mm x 100mm posts as a minimum size, the featheredge gates are all heavy and deserve a substantial post for support. 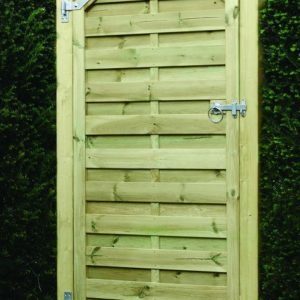 Wherever possible our gate furniture is HD (Hot Dip) Galvanised, a finish more suited to outdoor conditions than the lower priced BZP products. A comprehensive range of hinges, bolts and gate latches is held in stock. We also carry a cold galvanising spray where customers require their gate furniture to look as uniform as possible.